Well here’s a turn-up for the books. 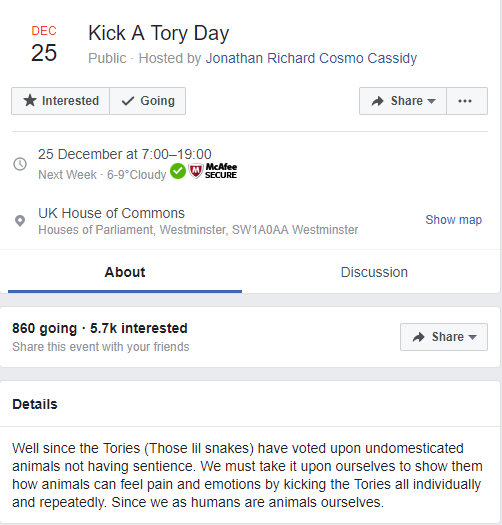 Social media giant Facebook is currently REFUSING to remove an event entitled ‘Kick A Tory Day’ hosted by a left-wing activist. The event, which has 860 confirmed ‘attendees’ and another 5,700 ‘interested’ is apparently going to take place on Christmas Day because presumably having one day of good will to all men (and women) is just too damn difficult for the hard-left. 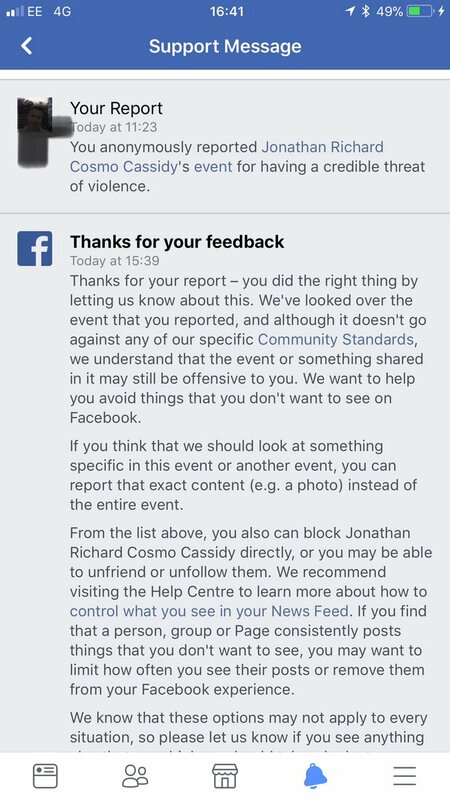 When a Conservative activist reported the event to Facebook who concluded that it ‘doesn’t go against any of our specific Community Guidelines’ (which seems a little odd as ‘Direct Threats’ are prohibited by those same guidelines). 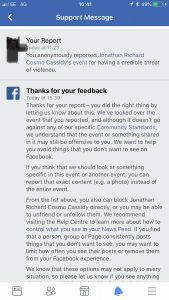 As an aside Facebook once censured our page for a post about the current Labour leadership’s historic sympathy with the IRA terror group (put together this strikes me as a pretty weird set of priorities). 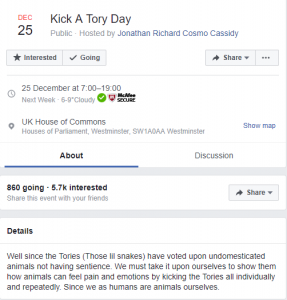 The event is apparently in response to the completely fabricated claim that Tory MP’s have voted for a motion saying animals can’t feel pain, a piece of Fake News which went viral after being promoted by a number of celebrities and left-leading publications (yes The Independent I am looking at you). So yer Fake News does have real world consequences. Is the event intended to be serious? It’s hard to tell. 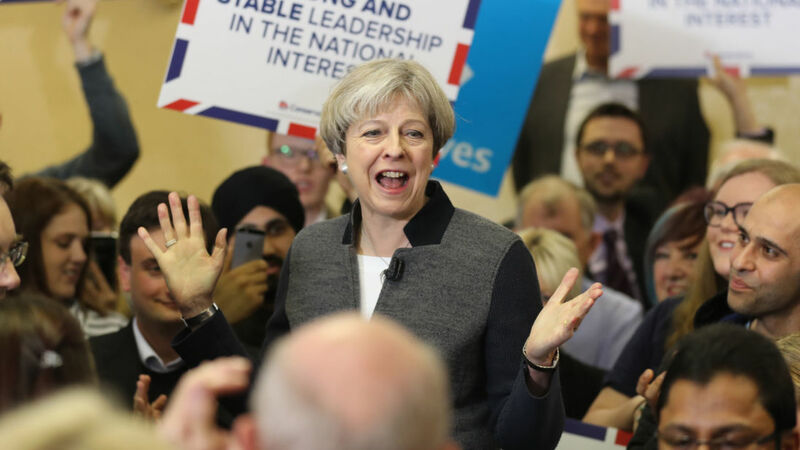 But even if we give the benefit of the doubt and assume it’s a particularly screwed up piece of performance art it says a lot about the hate and intolerance on the hard-left.